What is an open concept? 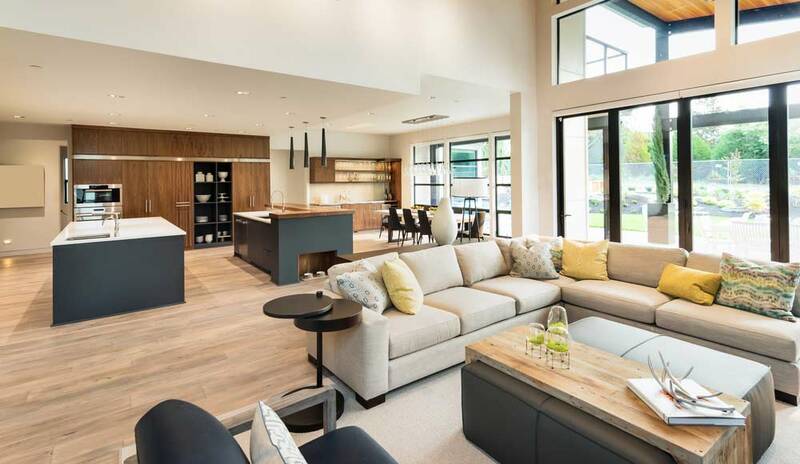 plan combines the kitchen, dining and living room into one shared area. Walls take up space. By removing the walls and creating one big room, it can really open up your home, no matter what your square footage is. Parents are able to keep an eye on their children playing in the room next door while they’re cooking or setting up for a dinner party. If you’re someone that needs their own separate space, an open concept may not be for you. Having closed walls allow you to work peacefully and quietly. Constantly cleaning can get tiresome. Having walls and doors to hide your mess can come in handy when unexpected visitors drop by. Even if it taste good, it doesn’t always mean it smells good. Cooking in an open kitchen allows the smell to spread throughout the entire house, and getting rid of the smell isn’t always easy. More rooms means more spaces for specific uses. Not only can you have a kitchen, living, and dining room, but you can turn the room into an office, art studio, guest room or whatever you need. As you can see, there is not one perfect floor plan. In order to choose the best concept for your home, you need to think about features are most important to you.